​New Barcelona signing Frenkie de Jong has revealed why he snubbed the advances of Manchester City and Paris Saint-Germain and signed with the Catalan side. 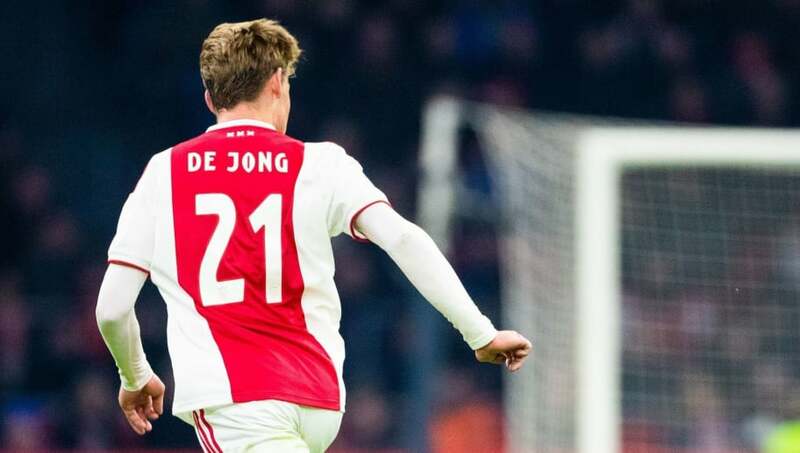 De Jong sealed his dream move on Wednesday night, ​in a deal worth up to €86m, set to begin on 1 July 2019 after he sees out the season with Ajax. The Dutchman has been heavily linked with PSG and the Citizens, but in an interview with NOS he explained why he chose Barça over both of them. Firstly, he admitted: "I spoke to PSG, yes. I rang Maxwell to tell him I was not joining them and my agent informed PSG. "I also spoke with Guardiola about a move to ​Man City. Clubs all try to convince you when they want you. I am happy and proud that they did so much to get me. "Barcelona have wanted me for a long time, they already tried to sign me last year. But they also have their financial situation, they can’t just spend loads of money." Interestingly, representatives from Man City have claimed the opposite when probed on why they missed out on the 21-year-old, citing that they didn't want to get involved in an inflated auction for the youngster, nor match Barça's lucrative wage offer of £307,000-a-week. And, in his own interview, De Jong continued to reveal why it was always only going to be the Spanish outfit: “Barcelona have always been a dream club for me. The fact that they were so serious about getting me and that I have a good chance of getting playing time made the decision a bit easier. "I already watched Barcelona as a kid and then when I was a bit more aware of the game you had the Guardiola era with all their successes. That turned me into an even bigger fan. I have always been a big fan of ​​[Lionel] Messi​, although I liked the entire team."